Finding and applying for grants can be a minefield for organisations not to mention time consuming. We work with a range of clients including charities, social enterprises, education institutes and voluntary and community organisations to help them identify and bid for grants. Our proactive approaches focuses on understanding your project objectives and working with you to identify promising grant opportunities to match your aspirations. Funding sources investigated include: European, national and local public sector funding and also Trust, Charitable and Foundation grants. 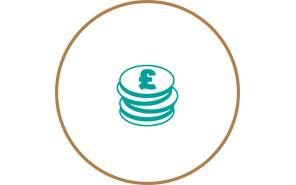 Bid writing support can also be provided to assist you to respond to the one or multiple grant funding streams required to secure the right ‘mix’ of funding for project delivery. Whether your ambition is a multi-million pound capital initiative or a small revenue project, FCS can help you to achieve your ambitions. Get in touch to discuss how we can potentially help your organisation.